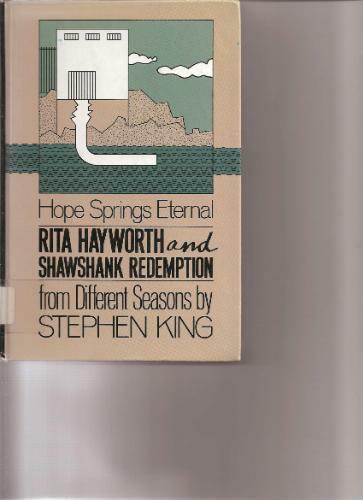 What's the Difference between Rita Hayworth and Shawshank Redemption the Book and The Shawshank Redeption the Movie? The Warden rips down the poster, revealing the hole in the wall. He throws a rock in frustration and realizes it went through. He then tears it open and finds the hole. Captain Hadley has a heart attack and retires long before Andy escapes. Hadley is still the lead guard and is arrested after Andy escapes because of his abuse of prisoners. Red goes on a whim to the place where Andy told him about. He looks around for days and eventually finds the box with the money and the letter from Andy. Andy specifically tells Red where to go and what rock to look under to find the package. Andy crosses the border in McNary. It is Fort Hancock. Andy had a cellmate for eight months. He complained of a draft, presumably from the hole in the wall. Andy is alone in his cell for the duration.